Guy graduated from Chelsea School of Art in 1994. Having enrolled on the Fine Art Painting Degree, much of his time was spent developing multi media projects, using video, photography, performance, installation and sculptural techniques. 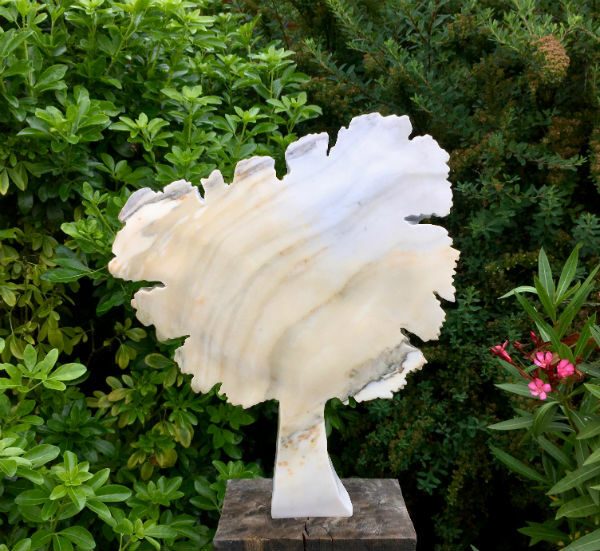 In 2001 Guy taught himself to work with stone, although self taught his carvings appear in Private collections internationally, featured in numerous national papers and journals and continues to gain reputation as an artist in his field of expertise. "Stone allows me to express myself both conceptually and physically. As a sculptor, I want to do justice to the potential and energy in a piece of stone. I have a rough idea, and then let it happen, seeing what I can make the stone do. Giving a heavy, solid thing my aesthetics without disturbing its inherent beauty and nature. Most of the time I do not know what the result of my physical labour will be, I take a free carving approach to the stone in front of me. I resist the recognisable, but the finished sculpture always seems to have some part of an unintended object or creature that has crept into the abstraction without me knowing. I am most happy when the carving process reveals the odd or playful and try to title the work to reflect. You got to have a bit of fun and not take art to serious. Forms I did not know were mine become reality in stone. I love discovering and sourcing my material, it has taken me to people and places I would otherwise not have found or thought of visiting. I hope to give the viewer or discoverer of my work the same sense of voyage, process and emotion I have felt in its creation".